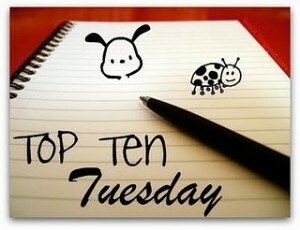 Top Ten Tuesday is an original feature/weekly meme created over at The Broke and the Bookish. They created the feature out of a love of lists and, well, the rest is history. 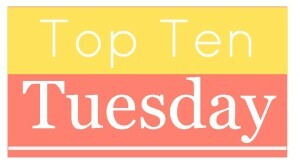 Here at Literary Obsession, we’re hit or miss on whether we particular in that week’s list, but we do love lists just as much as the next list-loving person, so it is a regular enough feature on the blog. If you’re curious about this week’s topic… head on in!